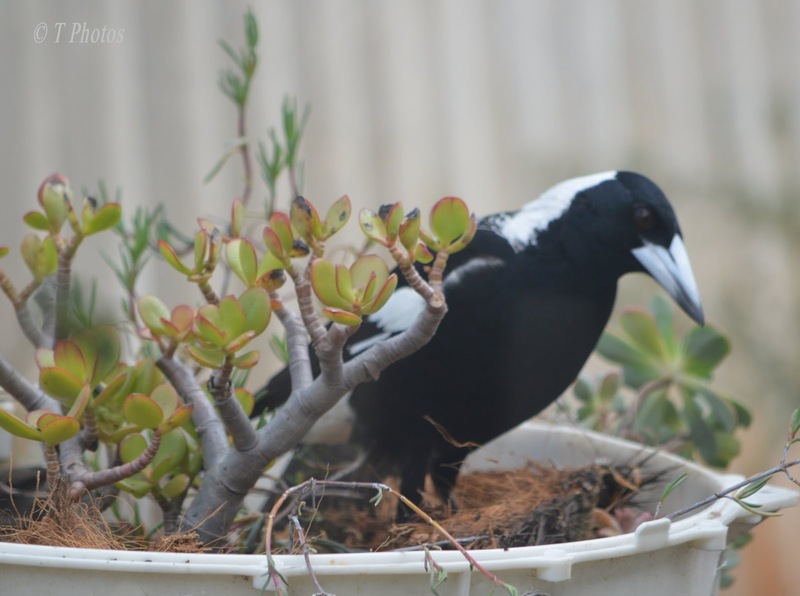 Magpies are beautiful and friendly birds if given the chance. Many people have them as pets in their home. But they often get abused because they do what comes naturally to them. Like all other birds around nesting time, they start looking for materials to build their nests. This action can be very frightening especially for children. Therefore, instead of complaining we need to look for simple ways to reduce the need for this. Recently I watched the magpies in our area. We have about four families of magpies around our home and yes they have started looking for nest building materials. We have seen them flying all over the place searching and carrying little bits of pieces back and forth each day. 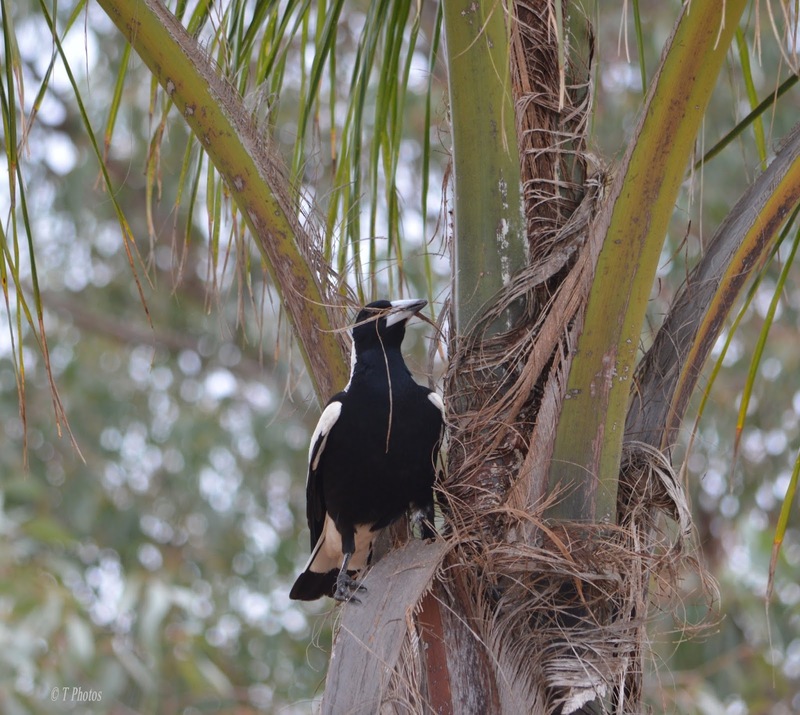 One day I spotted one family of magpies checking out our palm tree and grabbing bits of palm fibers. The next morning another magpie was raiding my old washing machine pot of its mulching fibers. That is what gave me the idea of thinking of ways that we can all help our birds to build their nests. If we all planted trees and plants with fibers or left a collection of bits and pieces either in a container or similar for these magnificent birds then it would reduce the need for them to swoop on us. Would you do something like this to reduce this from happening around nesting time, I hope so.